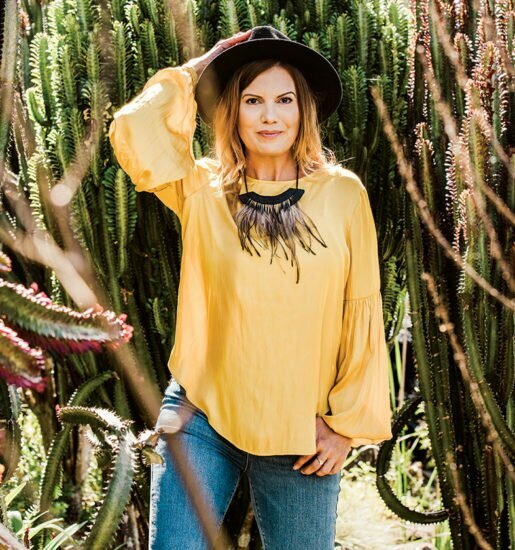 With a background in international aid and development, Michele Lipner redirected her purpose to launch OzHarvest Sunshine Coast in August 2014. She and her team of volunteers have since prevented 200,000kg of excess quality food going to landfill, instead redistributing it to feed people in need. 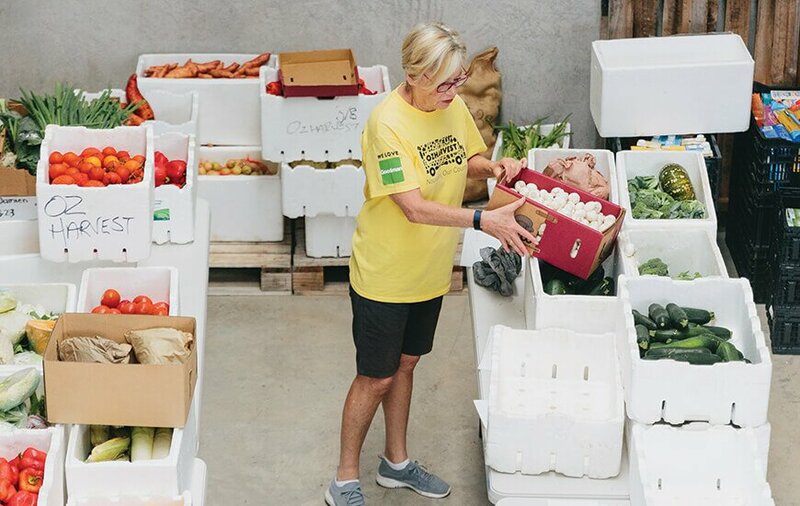 White styrofoam boxes laden with the freshest produce, capsicums, zucchini, mushrooms and broccoli, are piled high in the OzHarvest Sunshine Coast warehouse, being sorted by dedicated volunteers who are focused on feeding the hungry. Michele Lipner is the lady at the helm, coordinating the donation, collection and distribution of thousands of kilograms of food every month. 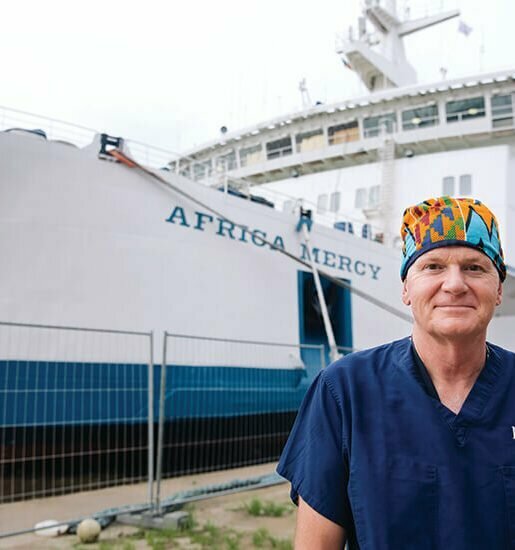 Prior to moving to Australia in 2004, Michele’s area of expertise was in international aid and development, where she largely worked in conflict zones, providing humanitarian relief and supporting peacekeeping operations. She then met her husband in Afghanistan, who was a member of the Australian Defence Force, seconded to the United Nations mission in Afghanistan. 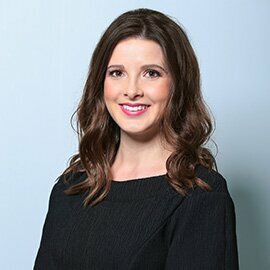 Upon the couple moving to Canberra, Michele began working for government and non government organisations looking at best practices in civil-military engagements in disaster responses or complex emergencies across the world. Then in 2010, Michele and her husband sought a seachange and moved to the Sunshine Coast. 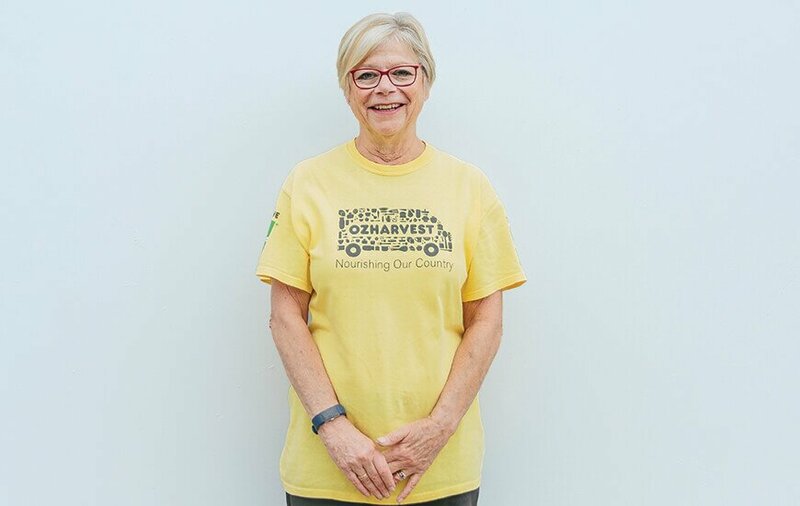 “I’d heard about OzHarvest when I was living in Canberra and thought it was a great concept; it’s about helping feed people in need, but also trying to help the environment and I loved that. 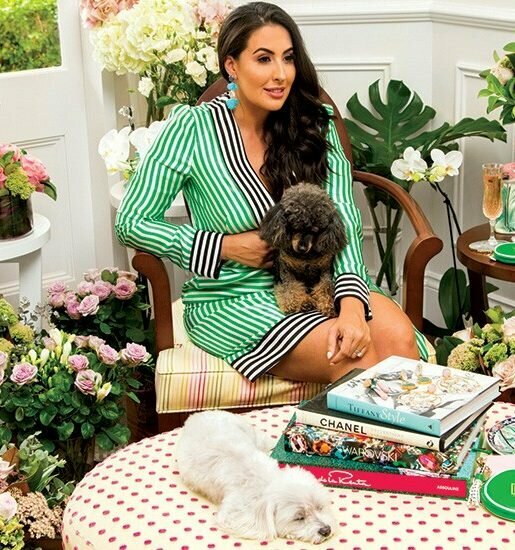 So when I moved up here, I was looking at what I could do to give back to the community locally, because my focus had been international,” says Michele. Michele contacted OzHarvest in Brisbane in 2014 and learned they were open to expanding the model into regional areas; given their focus had predominantly been in major cities since Ronni Kahn launched the national service in 2004. Michele conducted an assessment of need, opportunity and interest in early 2014. Based on the feedback received, she launched OzHarvest Sunshine Coast with three volunteers (including herself), three receiving charities and three food suppliers from which they collected about 400kg of food every month. Having initially focused on the catchment of Noosa and Coolum, they now cover from Gympie to Caloundra and into the Hinterland, have more than 60 volunteers, 30 charities, 30 food suppliers and collect an average of 8500kg of food a month. “Our biggest fresh food suppliers are farmers markets. We get more than half of our fresh fruit and vegetables from the Noosa Farmers Market and Fishermans Road Market. Sometimes we get that food because a lot of those farmers know what it’s like to do it rough and it’s their way of giving back, which is pretty amazing,” says Michele. Michele has a strong network of local producers who let her know when they have a surplus of produce they’re unable to sell. On the day before our interview, she picked up 460kgs of eggs from a farmer in Kybong. “We collect on Sundays from the two farmers markets, which could be over 800kgs of produce, and it’s brought back here and put into cold storage. Then on Monday morning, we’ll have a group of volunteers sort all of that food,” she says. Volunteers also collect during the week at regular times from predetermined locations and deliver that food directly to designated groups, including charities, community centres, churches and schools. Michele not only sees food as a nourishing source of nutrients, she also considers it to be an enabler, bringing people together and creating a sense of community. Case in point is the Maroochy Neighbourhood Centre, which contacted Michele three years ago, wanting to establish a community dinner for people who feel isolated and marginalised. The only problem was they didn’t have the funds to buy any food. OzHarvest Sunshine Coast initially provided fruit, vegetables and meat for the dinners, which initially attracted about 15 people every Tuesday night. Since then it’s grown to 45. “Six months after we started providing them with the food, Orange Sky Laundry came so people could not only go for a meal but access the mobile laundry, then UnityWater provided a shower, the local Lions Club provided cold storage to store more food, which gave the centre more opportunity to be more diversified in what they provided to the people,” she says. In Australia, we produce enough food to feed 60 million people, but more than four million still rely on food aid every year, a quarter of those people are children. Michele also reveals that one in five children either go to bed at night or to school every day hungry. “Those are not nice statistics, so we do our small part to address that through our food rescue,” she says. OzHarvest also has another purpose; to help people who are struggling to make ends meet, make healthier food choices. They are also emphatically passionate about raising awareness, and changing attitudes and behaviours on how to reduce food waste in your home, community and businesses. “There is so much waste going on – 20 to 40 per cent of the food that is produced on farms never makes it off the farms, because it does not meet cosmetic standards of supermarkets or perceived cosmetic standards of the public,” she says. 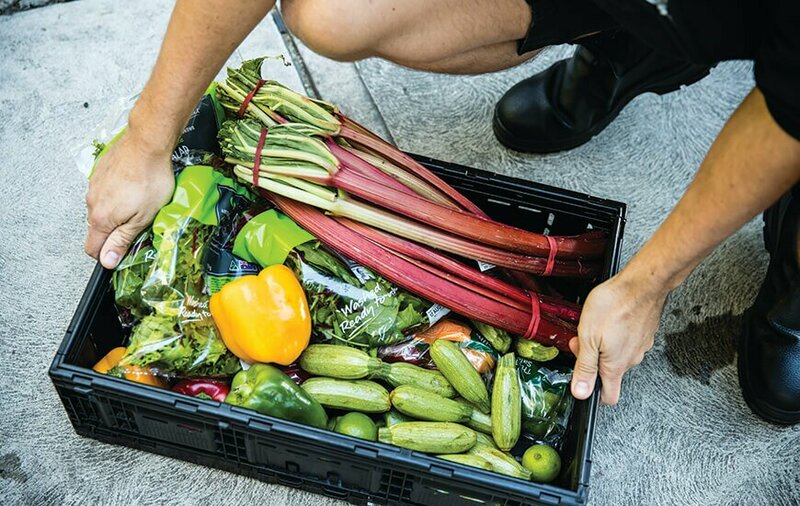 With over five million tonnes of good food ending up in landfill every year – half of this food waste occurring in the home, costing the average family $3800 worth of groceries every year – isn’t it time we put a stop to it? After all, did you know it takes 25 years for a head of lettuce to decompose in landfill?! To volunteer with OzHarvest, or find out more, visit ozharvest.org/sunshine-coast. You can also find Michele and her team at either the Noosa Farmers Market or the Fishermans Road Market every Sunday.